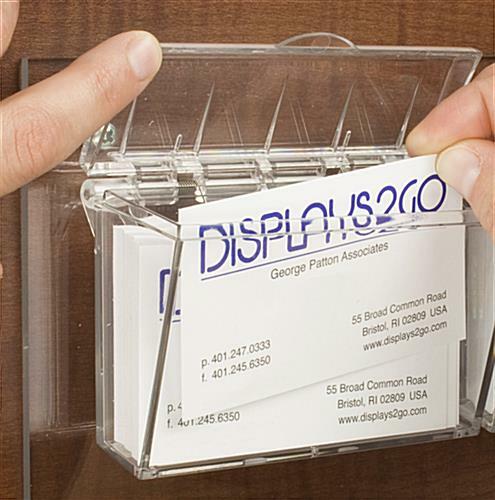 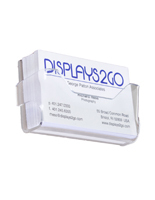 Store and dispense 50 contacts with this hinged acrylic business card holder for office that allows full viewing of contents due to clear construction. 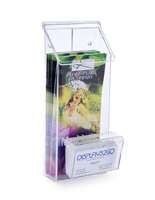 Great for cafes, retail shopes, and convenience stores, this wall case is simply designed with multiple uses. 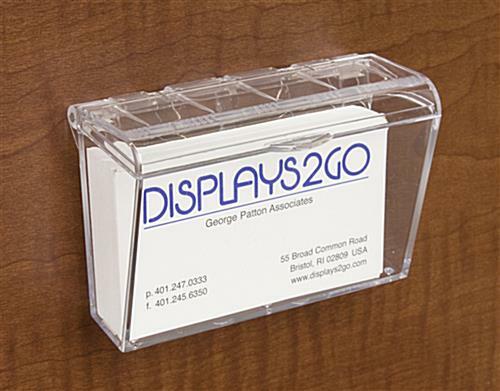 This acrylic business card holder, also known as an outdoor promotional display, has a box design with a lid, so contents within are protected. 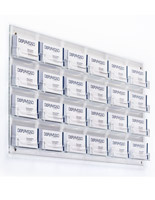 The unit has drainage halls, but position this mounted display under a canopy or other protected area whenever possible. 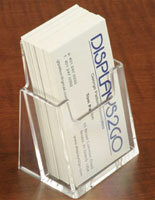 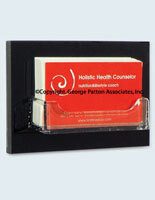 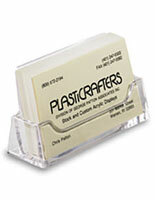 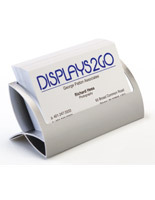 This large business card holder frees up desk and counter space. 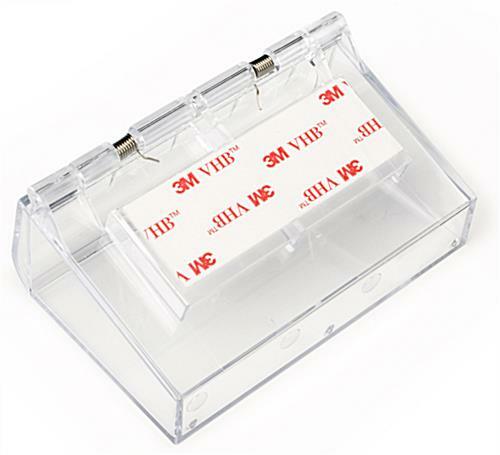 Mount on a door or window using the included two-sided tape. 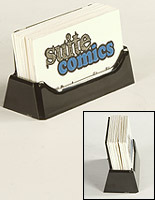 6.5" x 2.6" x 1.8"